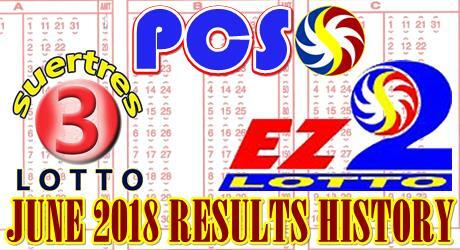 Find out here and analyze the different number pattern that was drawn in the month of JUNE 2018 for the PCSO EZ2 Results ARCHIVE and Swertres Results History. You can see which number is hot for the 11am, 4pm or even the 9pm draw. The following results are for the month of JUNE 2018. Included on this post are the EZ2 results archive and Swertres result history.